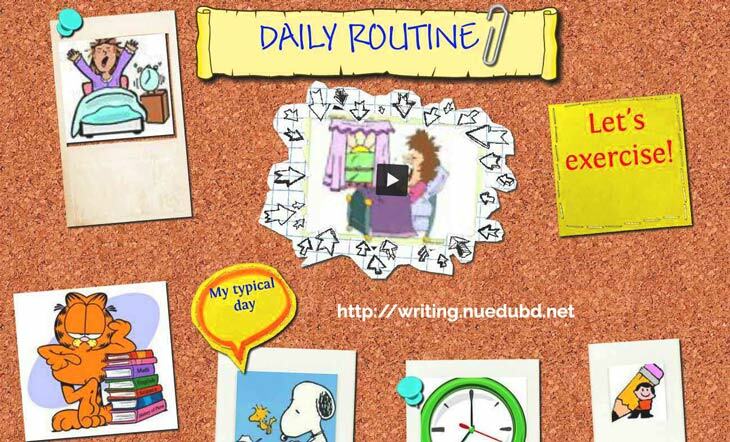 All of us should have a daily routine/daily life or a typical day of work. To make proper use of time it is absolutely important to have a daily routine in our daily life. It is most necessary for a student I am a student. I have also a routine. I do my daily works according to this routine. I get up early in the morning After finishing my natural call I brush my teeth wash my hands and face and say my morning prayer. Then I go out for a walk in the open air. I take my breakfast at (130 a. m. Then I go to my reading room'and prepare my lessons till 9.30 a.m. I go to bath at 10 a.m. Then I take my meal and Start for school at 10-30 a. m. I reach before the school begins. I remain at school from 11 a.m. to 4-30 p.m. I always sit on the first bench and listen to what my teachers say. I never make a noise in the lesson time. We have tiffin time from 1:00-1:30 p.m. I take tiffin in the Tiffin period. Then I say my 'Zohar' prayer in the mosque. When the school breaks up at 4-30 p.m. I return home straight. After returning home I take my tiffin. After taking a light refreshment I go to the playground. I usually play football volleyball, cricket etc I return home before sunset. Coming back from the playground I take rest and say my evening prayer. Then I go to my reading mom. I read my lessons till 10 p.m. Then I take my supper with my parents. In the meantime, I say my 'Esha prayer. After this, I go to bed and have a Sound sleep. A daily routine leads us to maintain a happy life. We learn discipline from this. It brings happiness for us in the future. So all should have a daily routine and maintain it strictly.